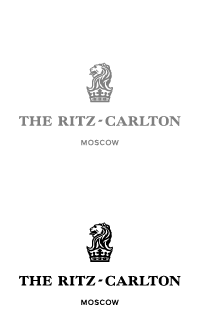 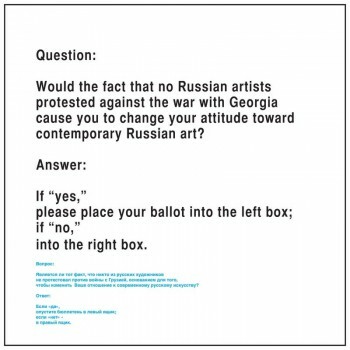 Born in 1959 in Moscow, studied at the Moscow State Pedagogical Institute (Graphic and Industrial Design, 1977–1980). 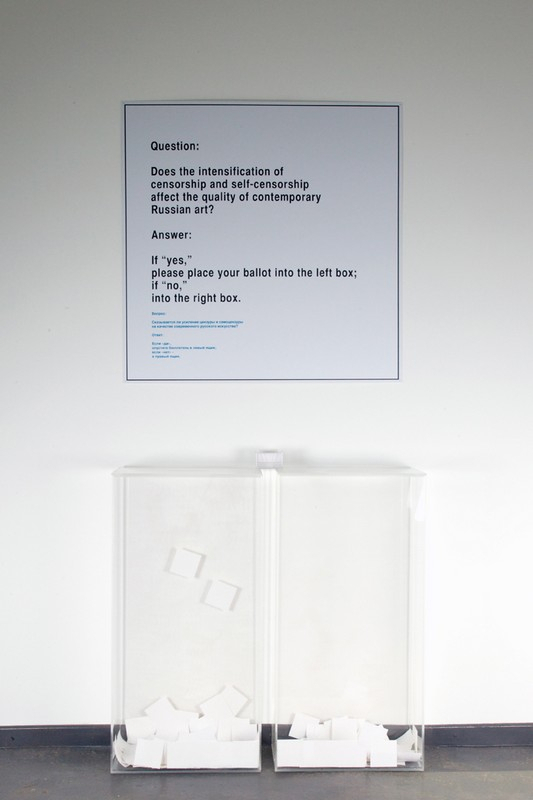 Selected solo exhibitions: “Moscow Days” (City Museum, Prague, 1989). 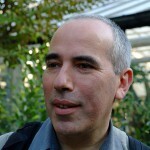 “Le chef d’oevre inconnu” (Hohenthal und Bergen, Munich, 1997). 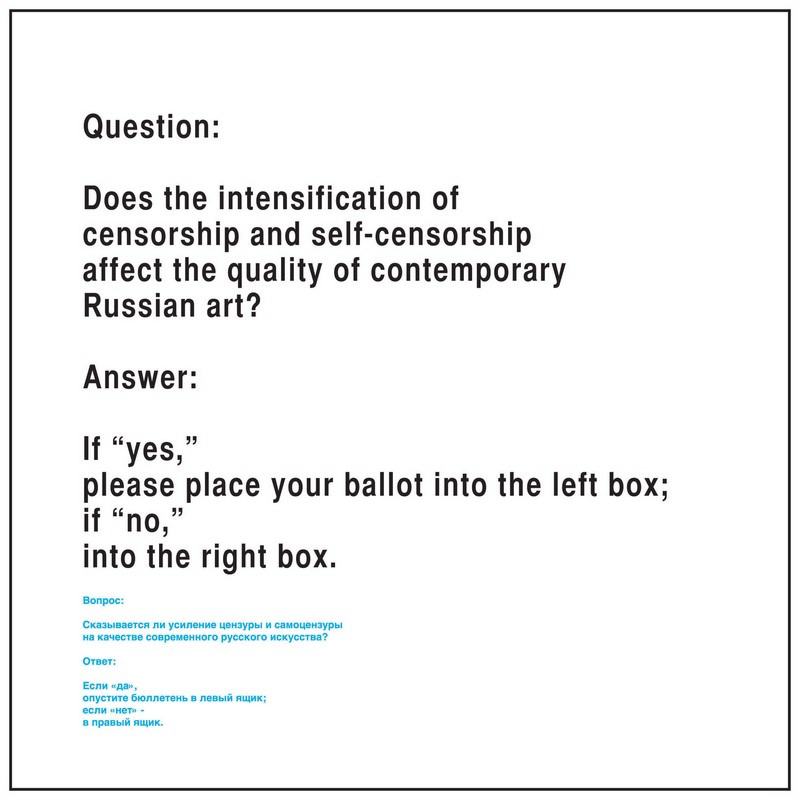 “Exhibition” (Era Foundation, Moscow, 2007). 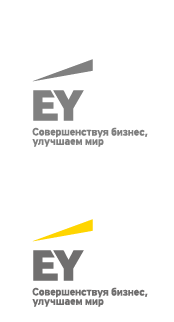 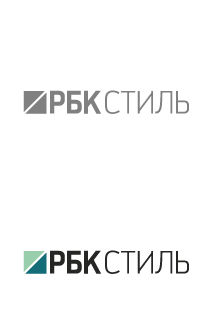 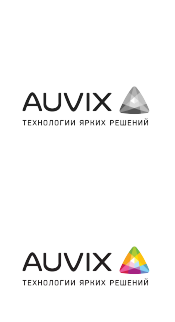 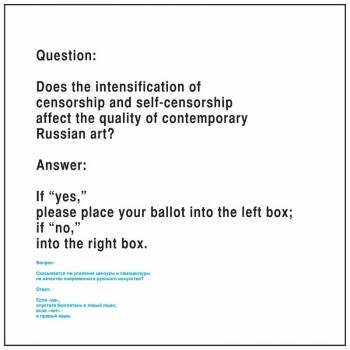 “Painting, Sculpture and Graphics” (Stella Art Foundation, Moscow, 2008). “Stories about Art” (Nizhny Novgorod State Art Museum, 2008). 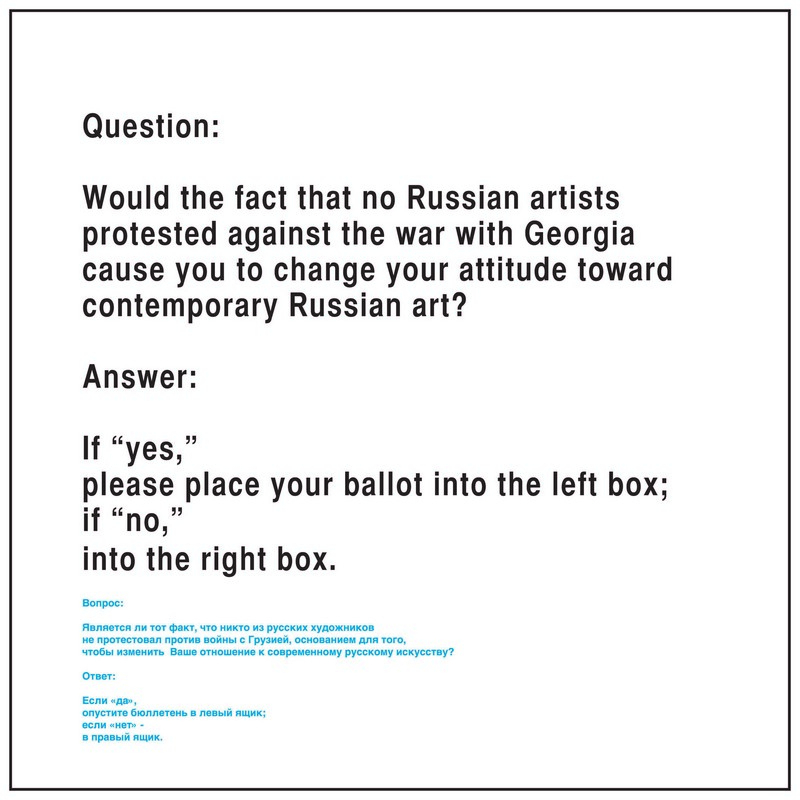 Kandinsky Prize 2007 finalist in the “Artist of the Year” nomination. 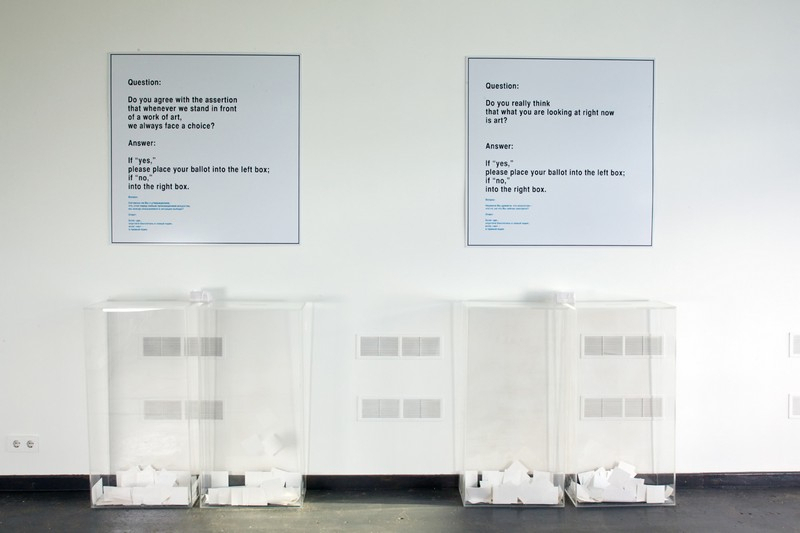 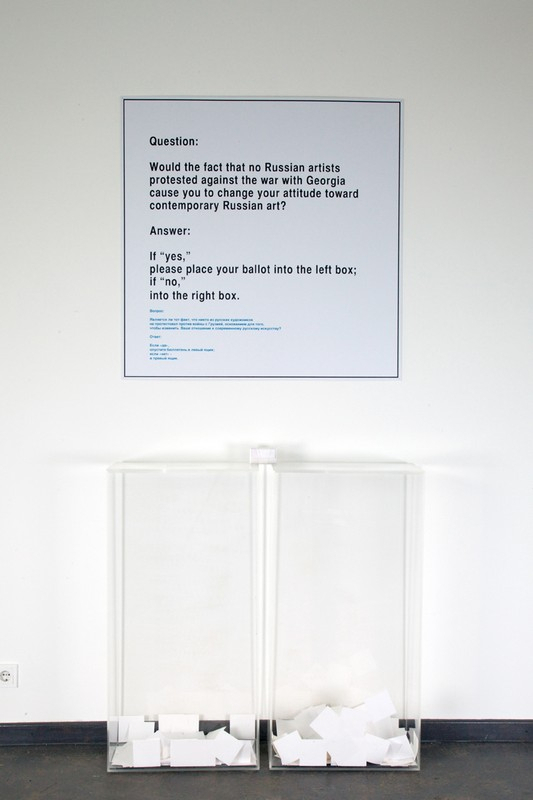 Yury Albert’s project “Moscow Poll,” created in 2009, is comprised of eight panels with questions written on them. 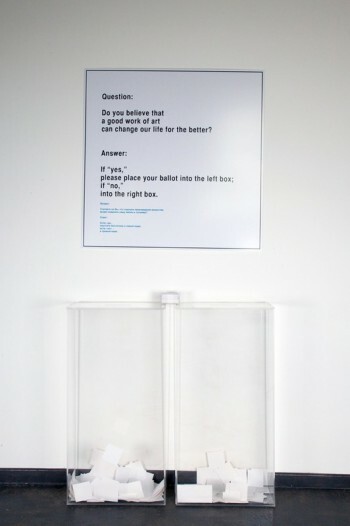 To each question visitors can answer either ‘yes’ or ‘no’. 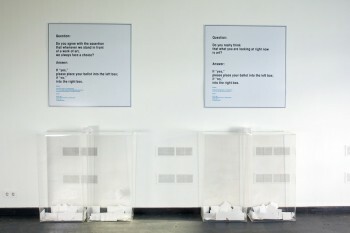 The ballots are then placed in transparent ballot boxes. Visually this installation is similar to Hans Haacke’s “MoMA Poll” (1970) and thus it continues Albert’s series of projects in which he mirrors works by other artists. 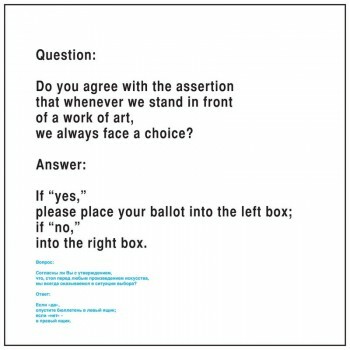 By borrowing recognizable images from the classics of contemporary art he engages them in a debate. 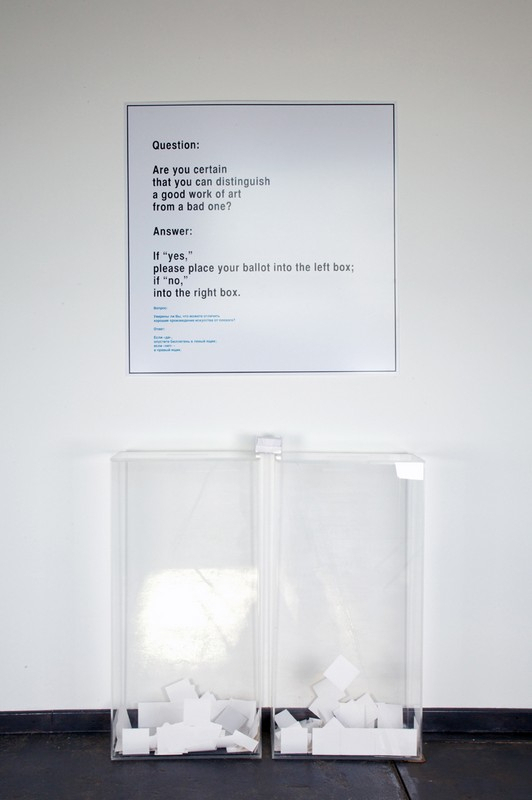 In Haacke’s work a single question prompted a simple answer, but Albert poses several rhetorical questions that prompt not an answer, but rather contemplation. 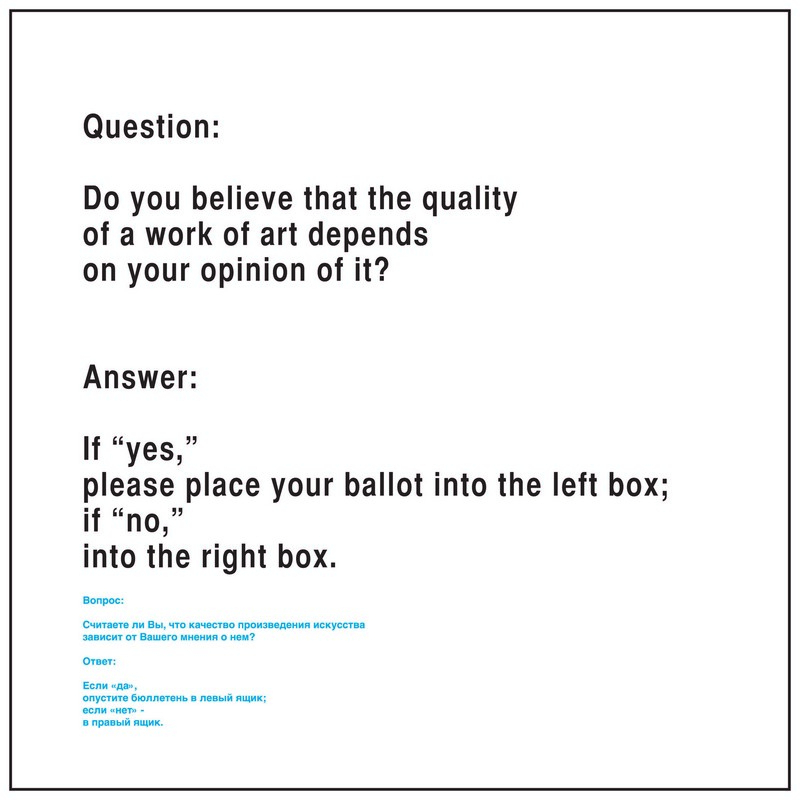 The eight questions vary in nature — some are political and concrete and others are more theoretical and abstract — “and it becomes increasingly hard to formulate an answer” (Y. Degot) because it becomes more difficult to reduce the answer to a simple “yes” or “no”. Indeed, the questions have not been asked in order to receive an uncomplicated answer, but in order to prompt the spectator to think about the question. 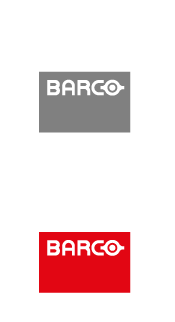 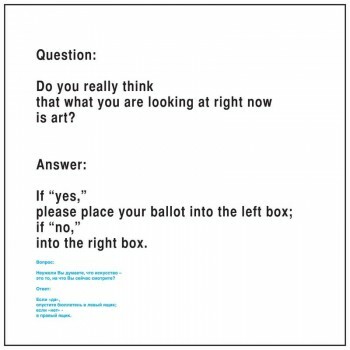 This thinking becomes the intended reaction. 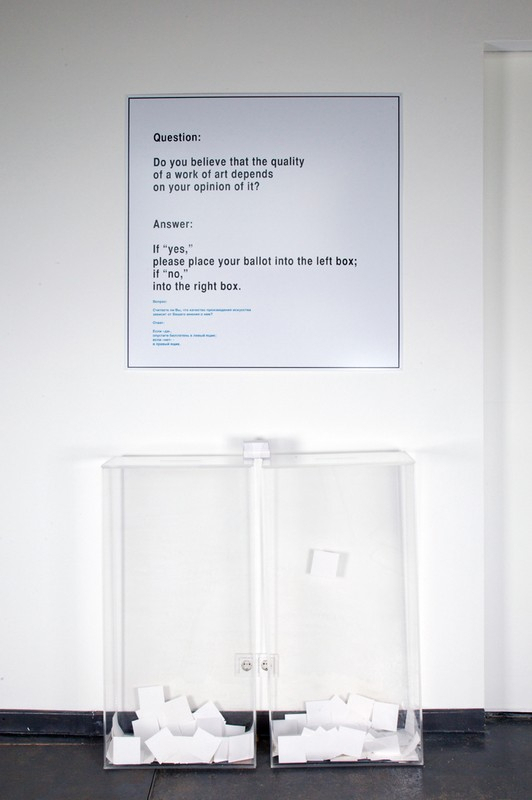 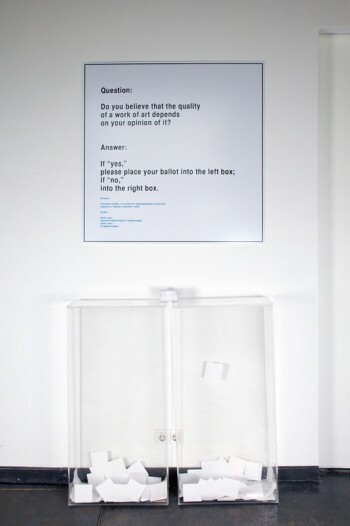 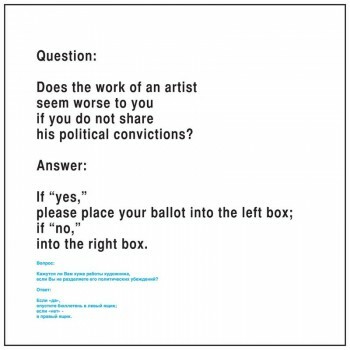 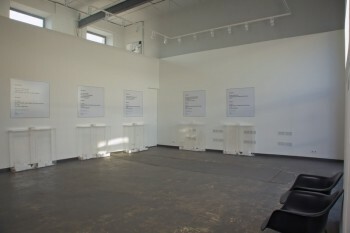 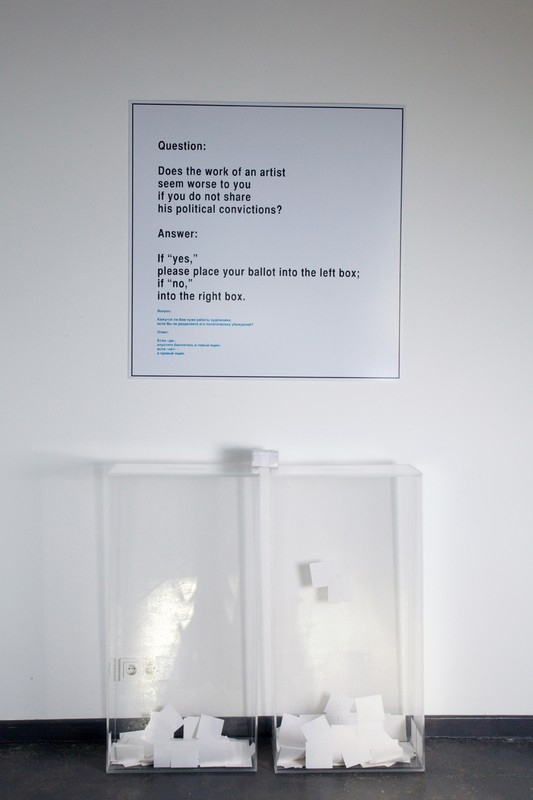 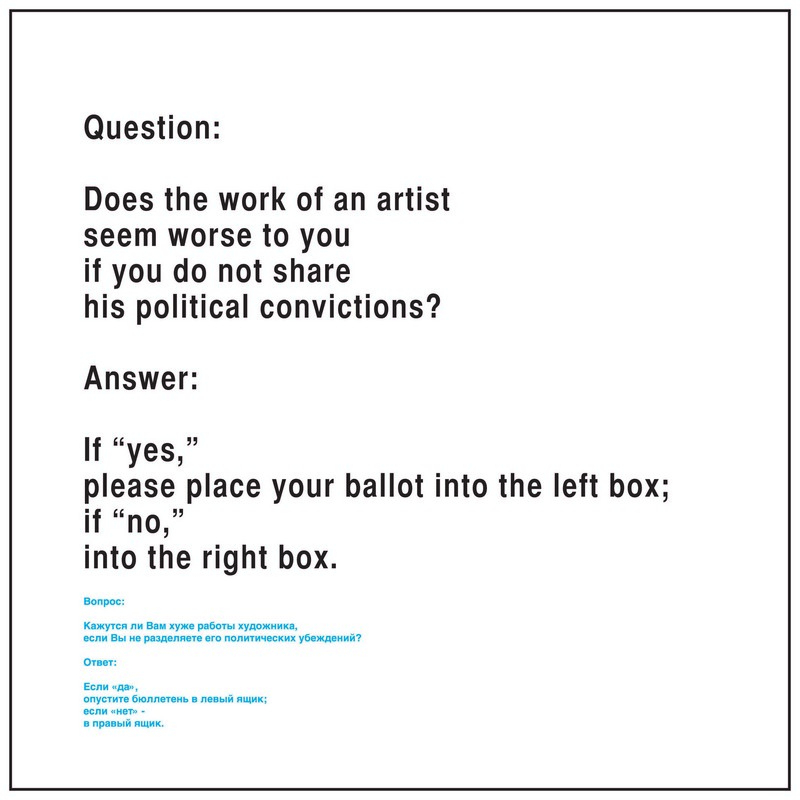 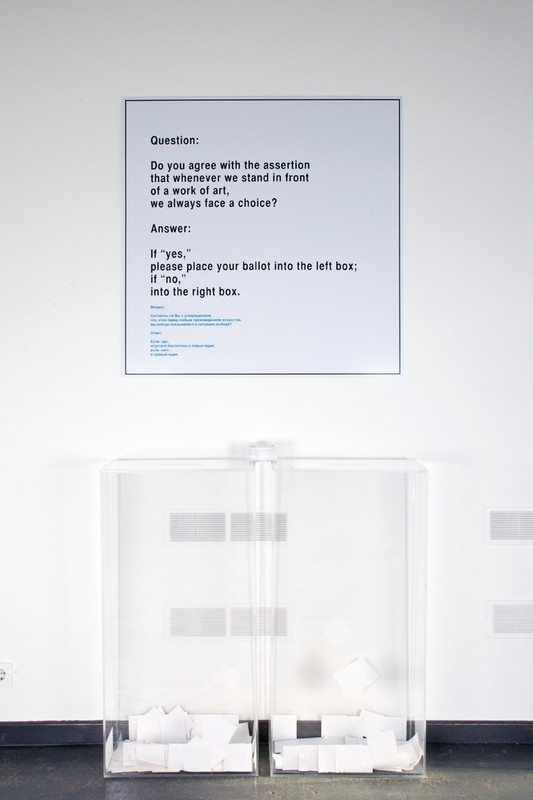 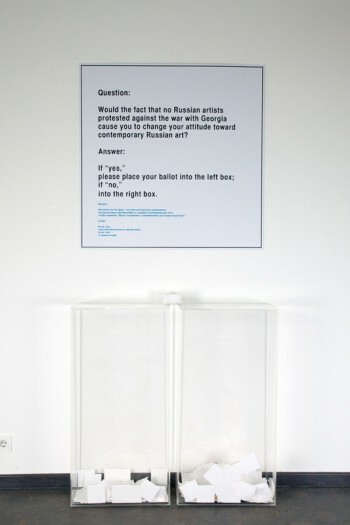 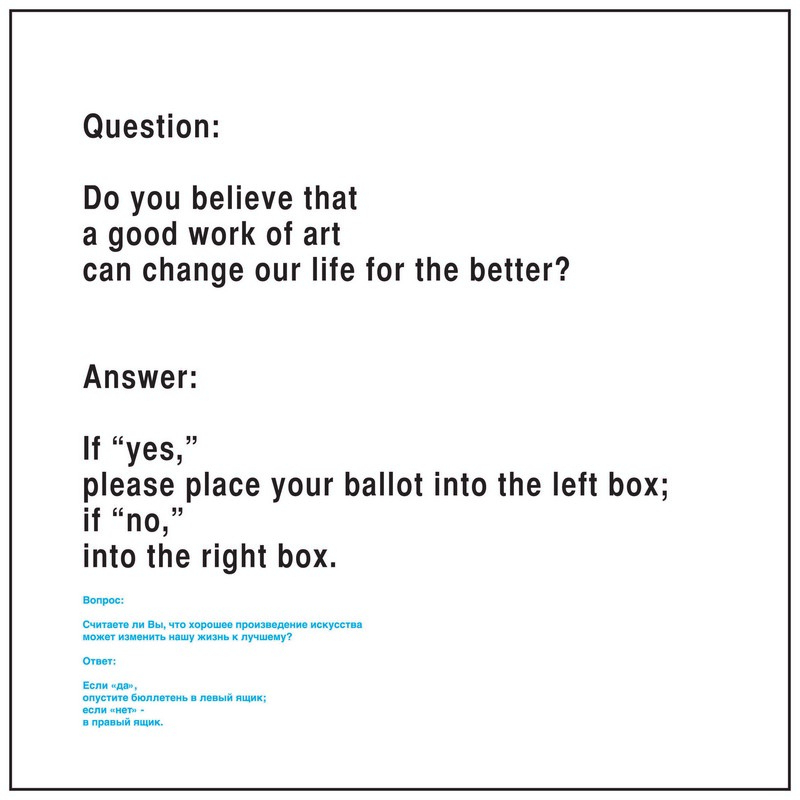 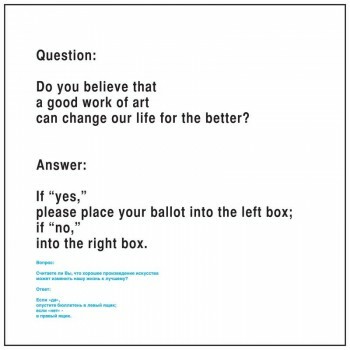 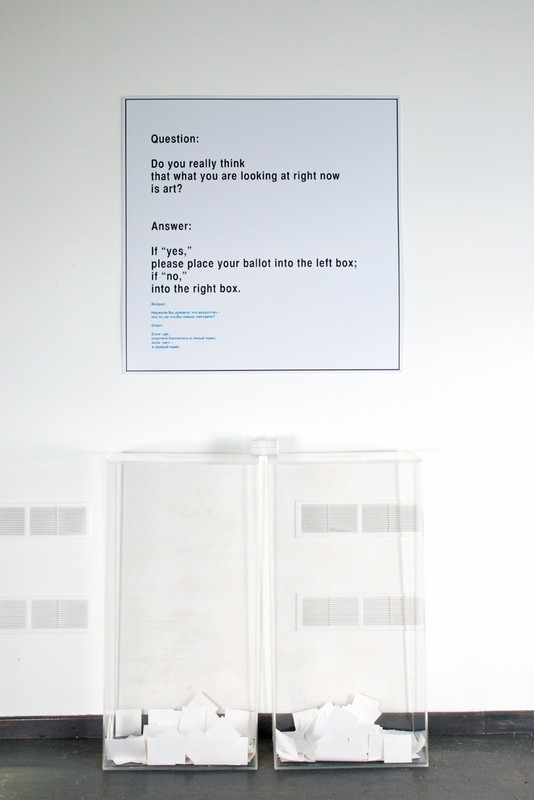 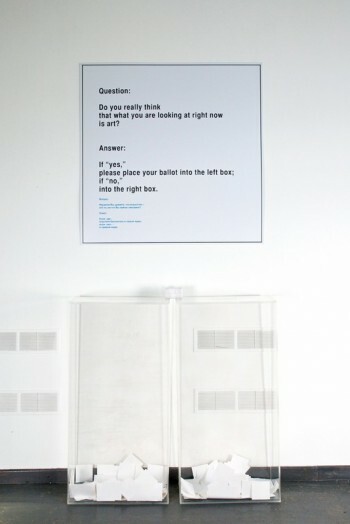 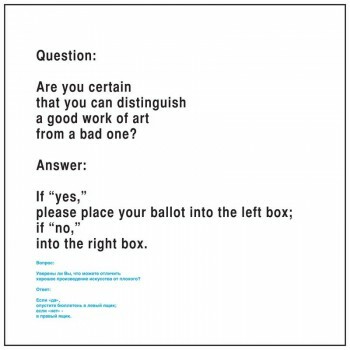 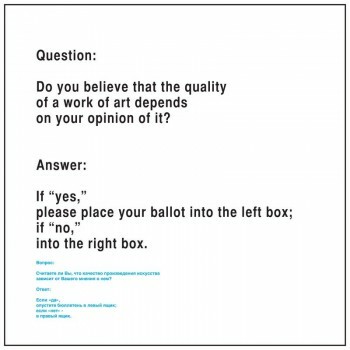 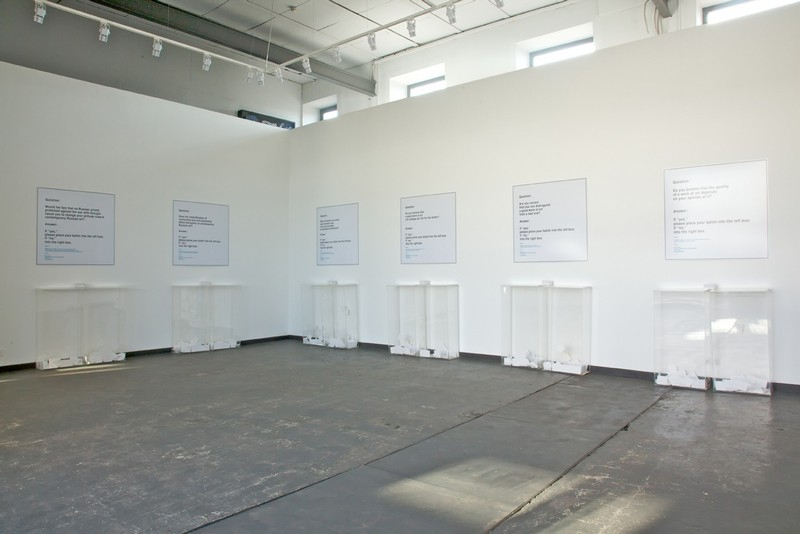 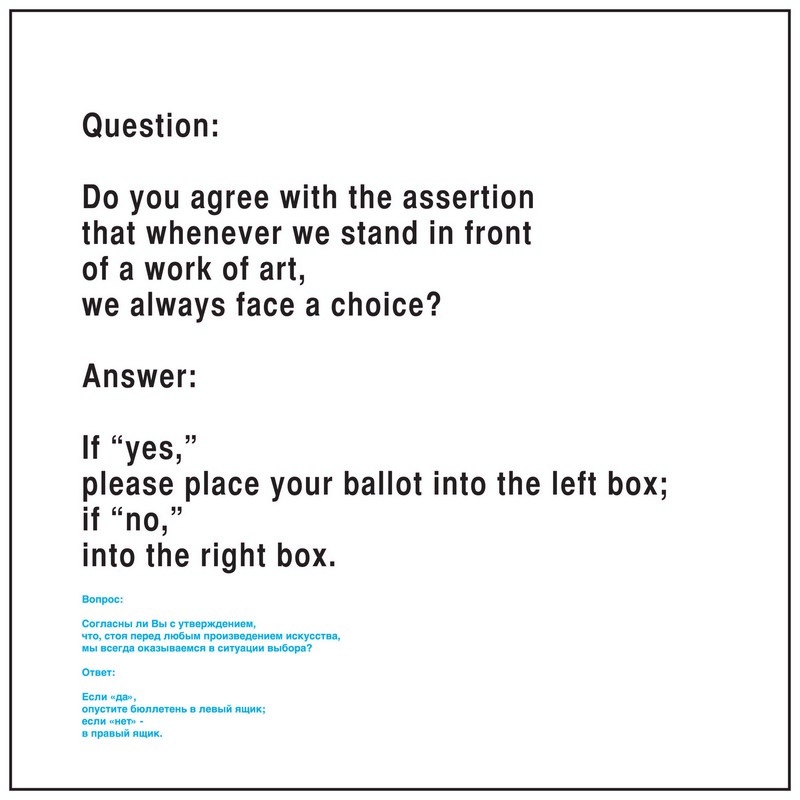 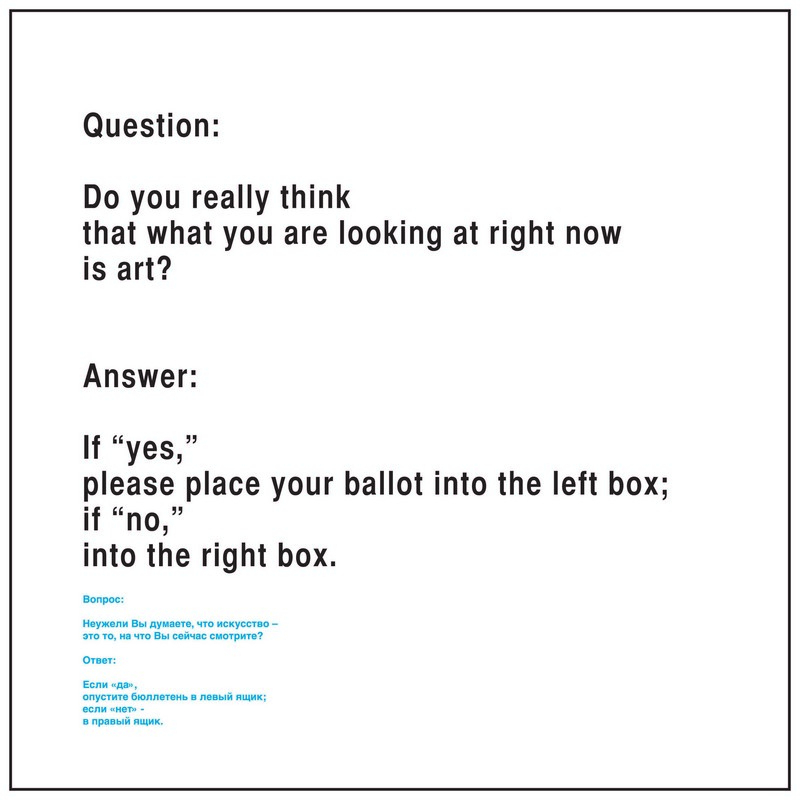 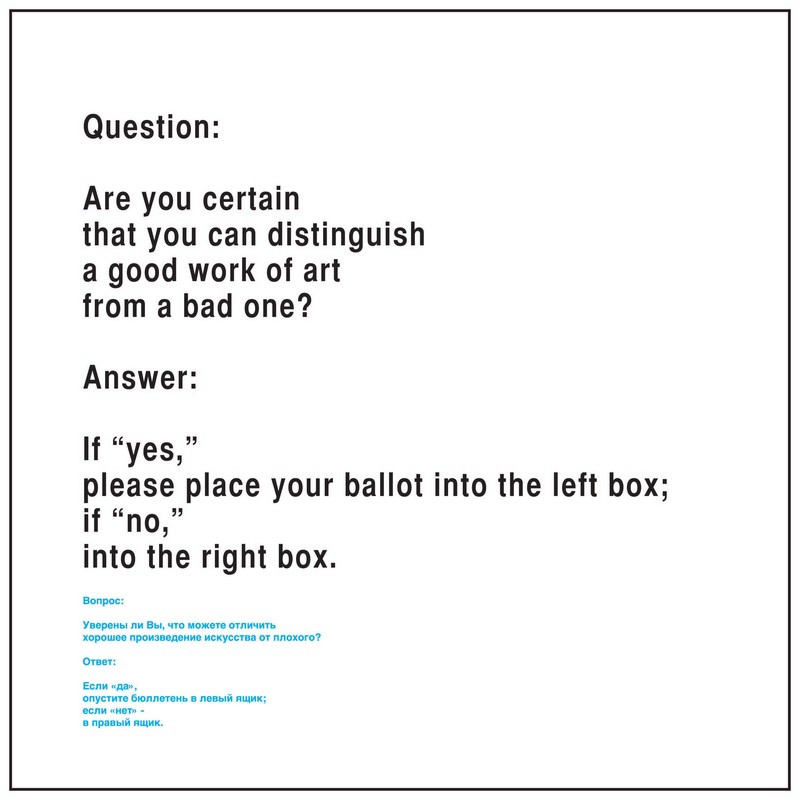 The last question, to which it is impossible to provide a simple answer, both concludes the whole project and raises doubts about the essence of modern art: “Do you really think that what you’re looking at right now is art?” The “Moscow Poll” project was shown in 2009 at the Paperworks Gallery and in the “Manifesto” exhibition, which was displayed in 2010 at Vinzavod and the Passerelle Center of Modern of Art (Brest, France) during the year of cultural exchange between Russia and France.